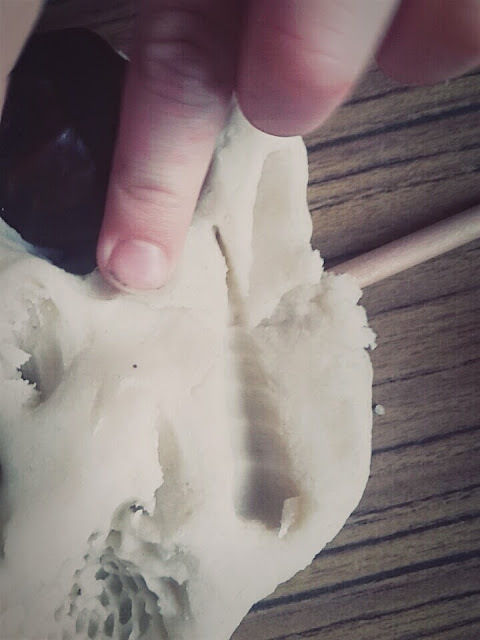 Jake is home from school with Chicken Pox and it's a rainy day, so playdough to the rescue it is! 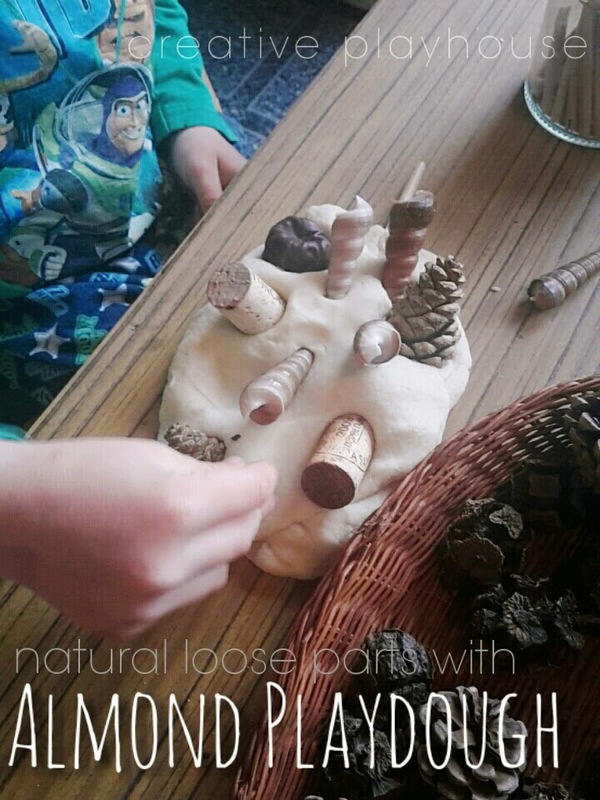 I used our normal easy no cook play dough recipe from The Imagination Tree, and added a few drops of almond oil for an irresistible fragrance. 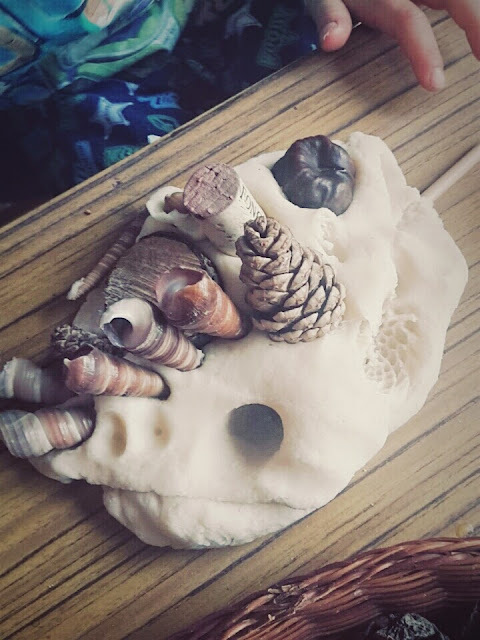 I set out some natural materials to enhance the play. 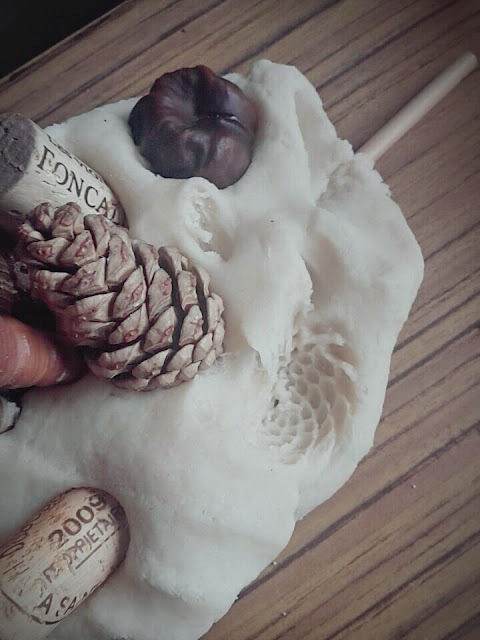 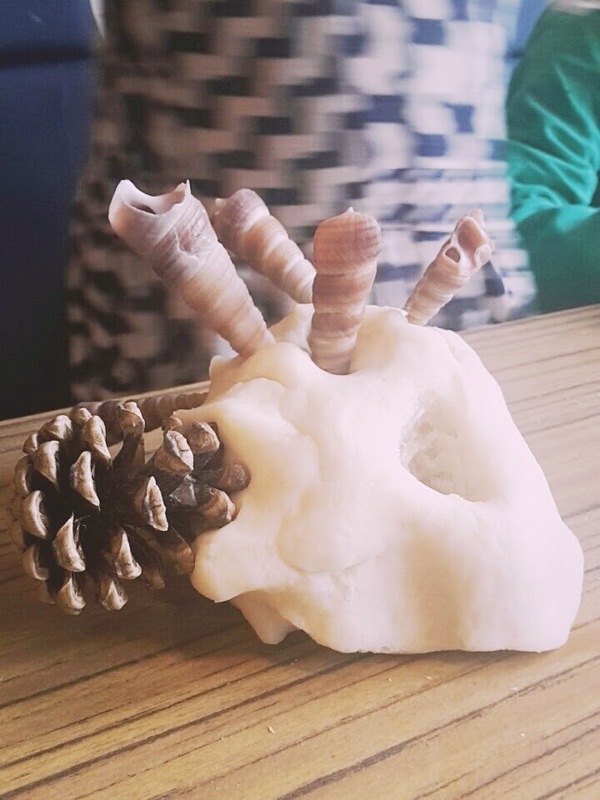 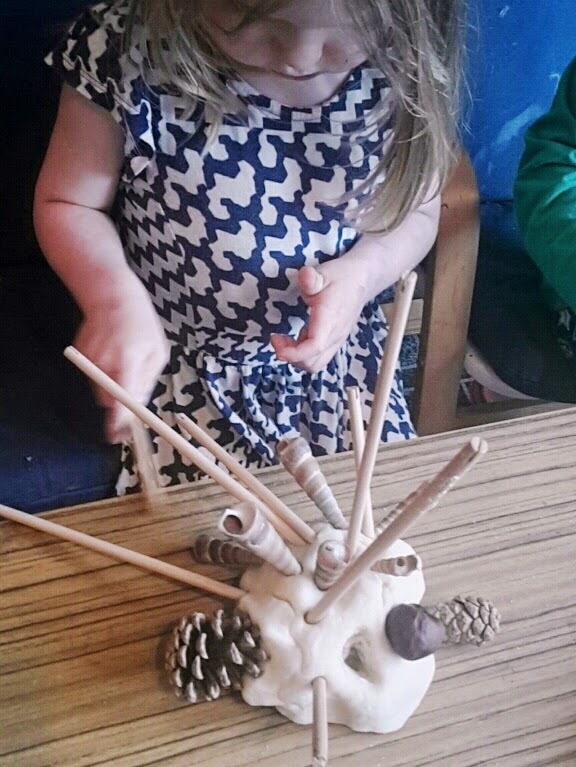 A mixture of textured objects to make prints with, stick in the playdough and create with. They enjoyed seeing the shapes and patterns the different objects made in the play dough. 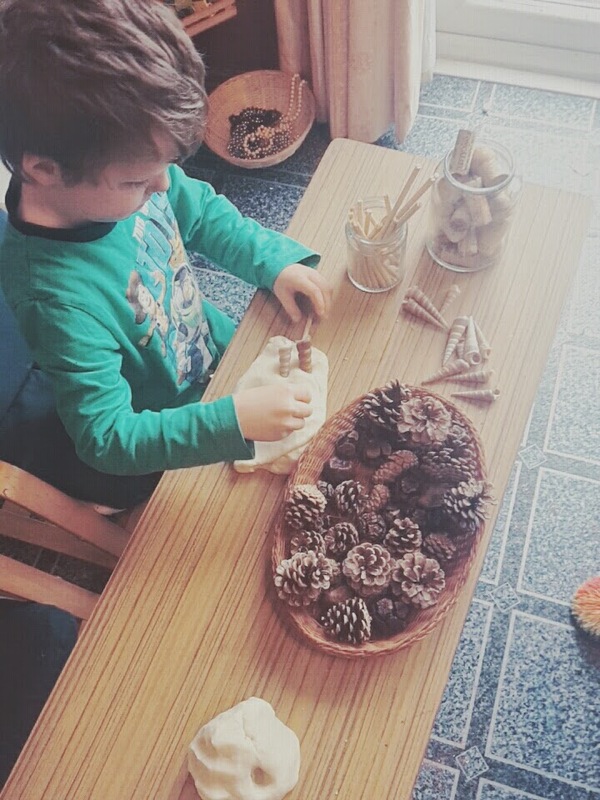 A lovely, simple activity for anytime and any age. 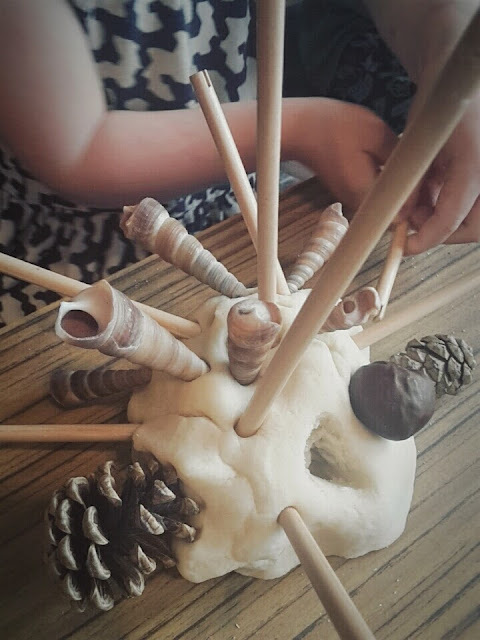 Try it out this week, what materials will you add to your play dough?